Our Cottage King Accessible* Room (Room 3) is located in the main cottage and offers a ensuite private bathroom, cozy pillow-top king bed, high-quality linens and toiletries, individually controlled AC/heat, heated bathroom tile floor, rain shower, in-room illy espresso machine, refrigerator, bluetooth speaker with wireless phone charging dock, convenient in-wall USB charging ports, and a Smart TV with premium entertainment channels, all to deliver you the ultimate in comfort and convenience. 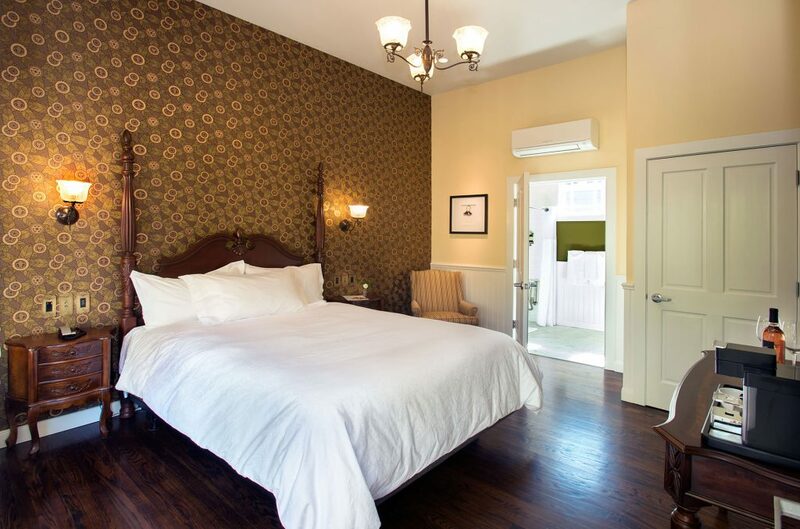 This room is accessed by the building’s wraparound porch, and this room has a view of the patio garden. Complimentary WiFi, parking & continental breakfast are also included. *Accessibility: Please note that this property and this room (Room 3) were renovated in 2014. Part of the purpose of the renovation was to provide accessible features and equivalent facilitation under the guidance of the California Historical Building Code (Part 8 of Title 24) and the City of Calistoga Building Department. The property is listed on the National Register of Historic Places. If you have specific needs, please contact us at 707-942-4200 to ensure that we can accommodate you. 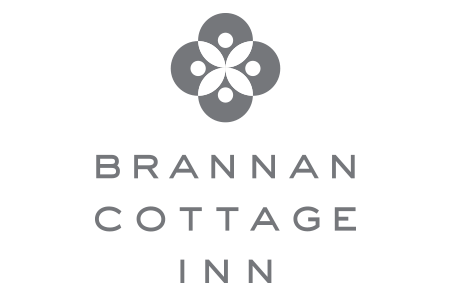 The Brannan Cottage Inn is a Calistoga non-smoking property.